At Ark John Archer we are keen to reward pupils who demonstrate exemplary behaviour, contributing positively to the academy’s values and culture of learning. At the start of Spring Term, we launched a new system, using Community Coins to reward pupils when they show exemplary behaviour in and around the school. Pupils are encouraged to adopt exceptional manners, demonstrate support for one another, move safely and sensibly through corridors and down the stairs, and take good care of their external environments. 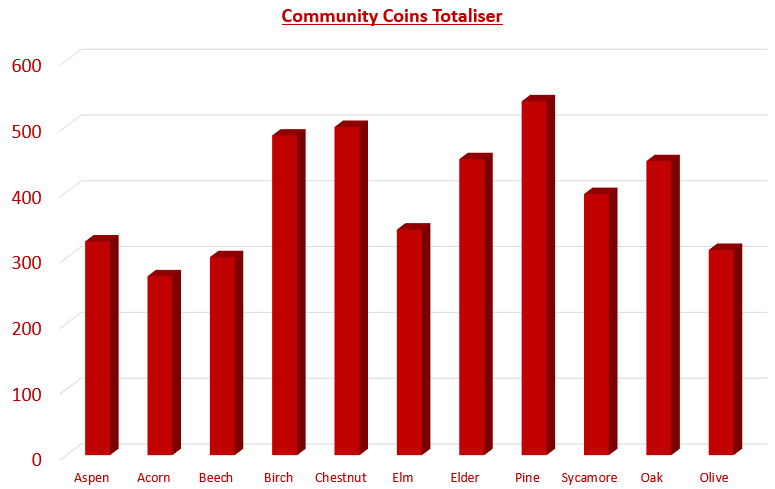 Community Coins are collected in class throughout the week and in Friday’s assembly the Community Coin Totaliser is updated. At the end of the half term, the winning class will be announced in assembly, receiving a special reward of their own choosing. At this crucial half waypoint in the term, Pine class are just in the lead with 538 coins! 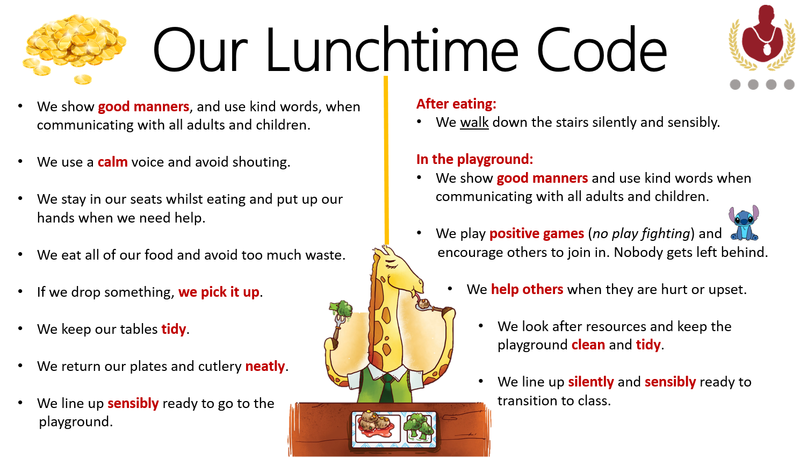 In addition, we have developed a lunchtime code to ensure the lunch hall is a welcoming and comfortable place to eat. Pupils are asked to follow the code below and are rewarded when they uphold this code with integrity. Our school behaviour policy is underpinned by the school’s values: respect, aspiration, kindness, community, resilience and excellence. Children are expected to demonstrate good behaviour for learning at all times. The purpose of this policy is to ensure that all children in the school are able to learn, grow and develop in a school that is safe, welcoming and calm. To ensure that parents and carers have an understanding of what behaviour is required and how it's managed, please click on this link to read our school policy; AJA Behaviour for learning Policy.pdf.